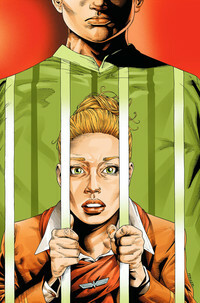 Issue #7 of Air was released on the week of March 18th for only $1. I looked around online and saw that it had been marketed as a good jumping on point for new readers. Before I dive in to this issue, I thought that I should post about this special price. I wish that I could have posted about the $1 issue before it came out, but I’m sure copies are still available for that price at your local comic shop, if not online. Do check it out.